If you are bored with the default “sent from my iPhone” email signature, and want to replace it with some cool signature. 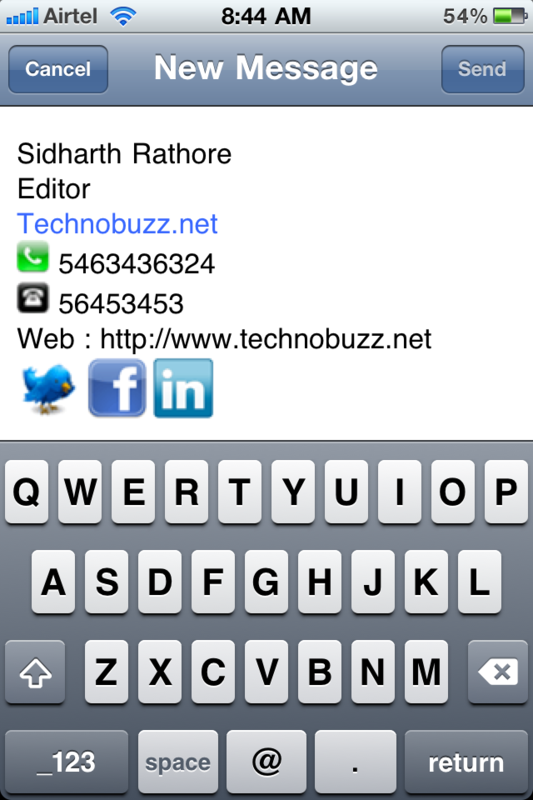 So here we will help you to Spice Up your iPhone Email Signature. Its easy to do with some simple steps. For this you have to checkout the iPhone Signature Creator by Cool Geex. It helps you to create HTML signatures free. 2. All you need to do is fill up you contact details in the web-based form. 3. You can also upload the image of the company logo or avatar. 4. It allows you to enter information about your FaceTime, Facebook, Twitter, Linked and Skype account details. 5. Now in the end it will ask to Enter Pin Number to create Signature. 7. Now a new icon is on your iPhone Screen, So whenever you want to write an email click that icon and enter Pin password that you enter on Step 5. And now you can see Your New HTML signature on you Mail page.